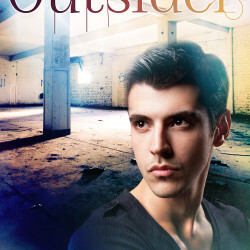 Outsider Book Release and Goodies This week marks the release of Outsider, the second book in Becca J. Campbell’s New Adult Paranormal series Flawed. To celebrate, Becca is hosting a giveaway and a book sale! I’m very excited to announce the release of my latest New Adult novel Empath, the first book in the Flawed Series. Read on to find out more about this paranormal thriller, and be sure to enter the giveaway at the end for the chance at an awesome prize package.